I find this reaction quite natural as Feynman must have had a certain guilt in his mind about having assisted in creation of a monster killer weapon that killed more than 60000 to 70000 Japanese people in an instant. However if readers think that the two atomic bombs dropped on Japan in WW II were the greatest killers, they might be wrong as there is one deadly weapon around the world that perhaps must have surpassed this number of kills of the atomic bombs. This deadliest weapon is none other than a rifle named after its designer Mikhail Kalashnikov. This Kalashnikov rifle is popularly known as AK-47. The AK-47 is probably the only weapon that has been used in almost every large scale conflict in the second half of the 20th century, and can boast more kills than any other single firearm. More than 100 million Kalashnikov rifles have been sold worldwide and they are wielded by fighters in such far-flung conflict zones as Iraq, Afghanistan and Somalia. This rifle and its variants are the weapons of choice for dozens of armies and guerrilla groups around the world. The weapon also has became synonymous with killing on a sometimes indiscriminate scale and has received a bad name because of its exclusive use by terrorist organizations. The AK-47 was designed by Mikhail Kalashnikov in 1947, to provide better weapons for the Soviet soldiers, who had earlier had big defeats in the early years of World War II at the hands of far better armed German soldiers. However it was never used against the Nazi Germany. Kalashnikov was born in a Siberian village as the 17th child of the family on November 10, 1919, He however had a tragic childhood as his father was deported under Soviet dictator Joseph Stalin in 1930. He joined the army later but was heavily wounded and shell-shocked in October 1941. He had first conceived of the weapon while recovering in hospital. The rifle soon became famous and was prized for its sturdy reliability in difficult field conditions. Kalashnikov however never gained financially from his invention and lived modestly in Izhevsk, an industrial town 1,300 kilometres (800 miles) east of Moscow. An ordnance factory that had become the principal manufacturer of this famed rifle was located at Izmash, in the central Russian region of Udmurtia. After the fall of USSR in 1991, the orders placed by the Russian army for this order collapsed and the factory fell on hard times. 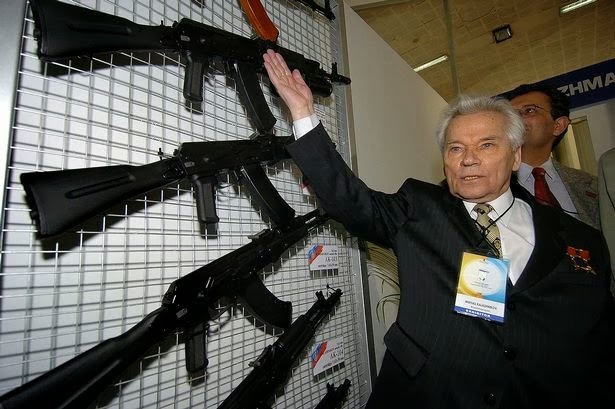 Kalashnikov had to make a personal appeal to President Vladimir Putin for revival of the factory. 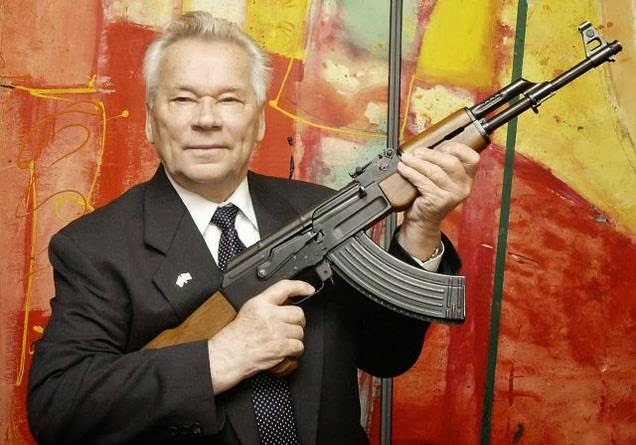 Mikhail Kalashnikov, inventor of the deadly AK-47 rifle died on 23rd December 2013. What would he be called? A hero or a villain? It is for the readers to decide. Russian new agency Izvestia has now reproduced a letter written by Kalashnikov to head of Russian Orthodox Church shortly before his death to express guilt for those it had killed. "My spiritual pain is unbearable. I keep having the same unsolved question: if my rifle took away people's lives, then can it be that I... am guilty for people's deaths, even if they were enemies?" he asked. Whether an Invention is a boon or a bane is decided by the end-user.